See what community members, scientists, residents, and groups have said about the bypass. Read our archive of media coverage and editorials about the bypass. If you submit public comments on the bypass to local leaders, please email a copy to us so we can share it as well. A public hearing will be held from 4:00 p.m. to 8:00 p.m. on March 15, 2012 at the McAbee Activity Center regarding the Environmental Reevaluation document for the proposed Tuscaloosa East Bypass project. During the open house, the public may review project information and maps, ask questions, and discuss the project with Alabama Department of Transportation (ALDOT) staff. Written comments may also be submitted by completing the comment sheet during the meeting, submitting comment sheet/comments by mail, delivering comments to the ALDOT Fifth Division address below, faxing comments to the ALDOT number below, and by e-mail to tuscaloosabypass@dot.state.al.us which will become part of the public record. All comments must be received by 5:00 p.m., Monday, April 16, 2012. If ALDOT is seeking to gather additional research questions from the public before completion of the Environmental Reevaluation Document, then we will hope that this Document reflects those concerns and questions. In the meantime, learn about 4(f) properties and why they are protected. Write an email to Dee Rowe at ALDOT (rowed@dot.state.al.us) that expresses your concerns. It can be as simple as, "I feel that the citizens of Tuscaloosa do not recognize the enormity of this project's impact on our community and would like to make sure that ALDOT educates the public before proceeding with such a drastic project in the aftermath of the tornado." Or you can get ideas from this petition. 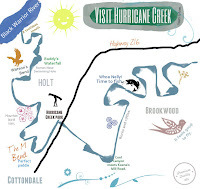 Copy Friends of Hurricane Creek to your email (lifeathurricanecreek@gmail.com) so we can build a broad coalition of concerned citizens. Copy Lynne Urquhart Federal Highway Administration (Lynne.Urquhart@fhwa.dot.gov) and Mark Bartlett (Mark.Bartlett@dot.gov) to your email. Consider including local officials to make a broader impact. For example, add Tuscaloosa mayor Walt Maddox (mayor@tuscaloosa.com) or City Councilwoman Cynthia Almond (cynthiaalmond@bellsouth.net) or City Councilman Kip Tyner (ktyner@tuscaloosa.com) or City Councilman Bob Lundell (rlundell@charter.net). Share your email with church groups, local nonprofits, and other organizations in which you play a part. Ask friends and family to consider signing this petition or writing their own letters. The residents of Riverchase made an impact in this way, and we hope to do the same. Their campaign to protect their neighborhood from the noise of a bypass can be extended to protect Holt, East Tuscaloosa, and Cottondale from the adverse effects of this massive pork barrel project. We will do out best to work for the residents and life in the Hurricane Creek watershed. If Tuscaloosa "needs" a bypass, then it should be a bypass that does more good than harm. Help FOHC ensure that the Eastern bypass benefits our community on every level- economically, socially, and environmentally. Or better yet, reconsider it entirely. 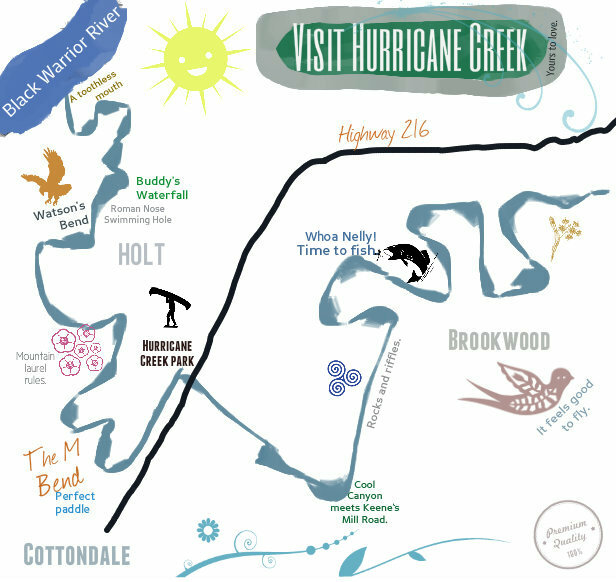 Ever since ALDOT’s plans were first unveiled in 1999, local groups have proposed nearby alternate routes that are available, feasible, and that would minimize damage to Hurricane Creek. These alternatives would reduce ALDOT’s need to employ expensive techniques required for construction near protected waterways. For just as long, however, state and local officials have refused to acknowledge the merits or the existence of these alternatives. The Friends of Hurricane Creek want to work with our city officials to make sure that economic and environmental standards are foremost in community planning preparations and commitments. After 12 years, the Alabama Department of Transportation has finally made the Final EIS available online to the community so you can learn about its impact on your home, property, schools, community, and environment. We have been given 20 days since its posting online to make comments. 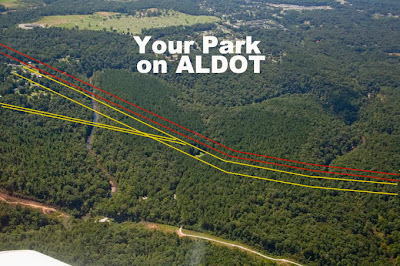 Please send all comments to ALDOT Division Engineer Dee Rowe before April 16th, 2012. The Bypass Info Hub includes official documents, maps, and facts about how decisions are being made. It also includes links and brief explanations pertaining to divisions of state and federal responsibilities for environmental management. 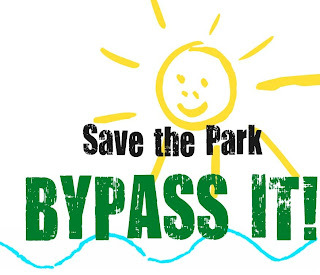 Since Hurricane Creek Park is a public park owned by PARA, its status and use in the bypass project is of public interest. You will find various deeds and legal documents pertaining to ALDOT's "protective purchase" of PARA park for the purpose of building the Bypass. The Alternate Routes page includes maps and information about 9 different proposed routes for the Eastern Bypass. Help us find out why the 4 routes which would cause less damage to Hurricane Creek Park are not being considered by local leaders. Several famous botanists and naturalists have remarked on the native plants and animals found in the creek ecosystem. To learn more about Alabama wildlife, read this colorful description of wildlife on or near the watch list. You can also get a taste for the diversity and richness of local flora and fauna from Nancy Callahan's entry for the Encyclopedia of Alabama. The Bypass Blog and Bypass Blog Archive includes history and information about the Eastern bypass plan. It includes links to past newspaper articles and various reports concerning the Eastern Bypass plan over time. It also contains information about the Hurricane Creek Park created by PARA.